The second thing to remember about heli-touring is to slow down and enjoy it. The unmentioned bonus is an incredibly scenic flight to get to said terrain. 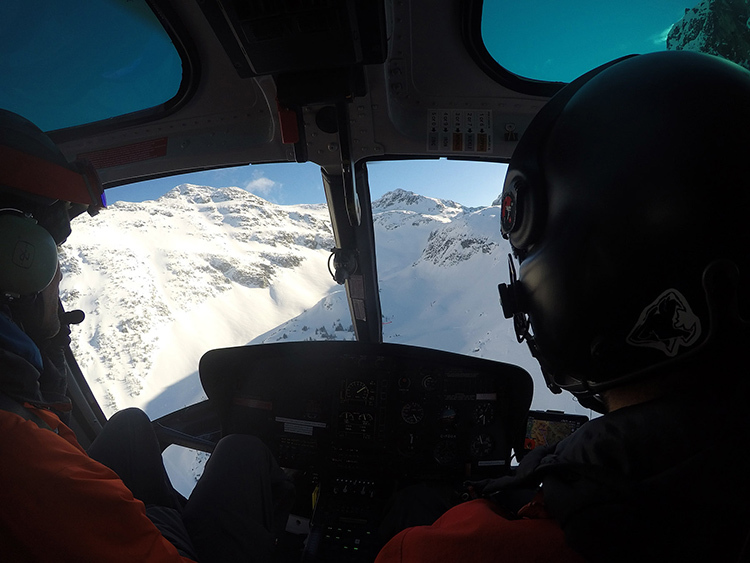 Zipping past iconic Whistler-area mountains and features like Wedge, the Armchair Glacier and Mount Currie is a bucket-list experience all on its own, with heli-touring it’s just a tasty appetizer for the powder feast to come. After scouting an isolated amphitheatre of snowy peaks and ridgelines, Selda and the pilot pick a landing zone and we unload “hot” with the rotors still whirring. 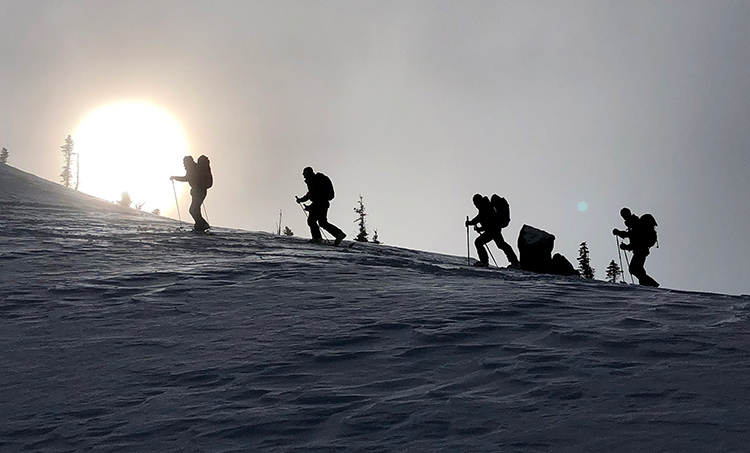 A few loud gusts of snow later and suddenly our party of five eager ski tourers is alone on a pristine mountain ridge that would require literal days of bushwhacking to access on foot. 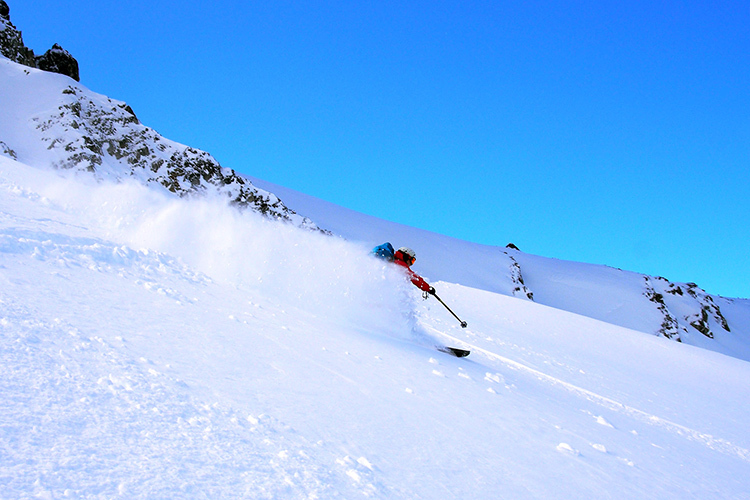 The super-duper bonus of heli-touring is being dropped at places like this, the top, so when it comes to “earning your turns” the first lap is free. And what a lap it was. 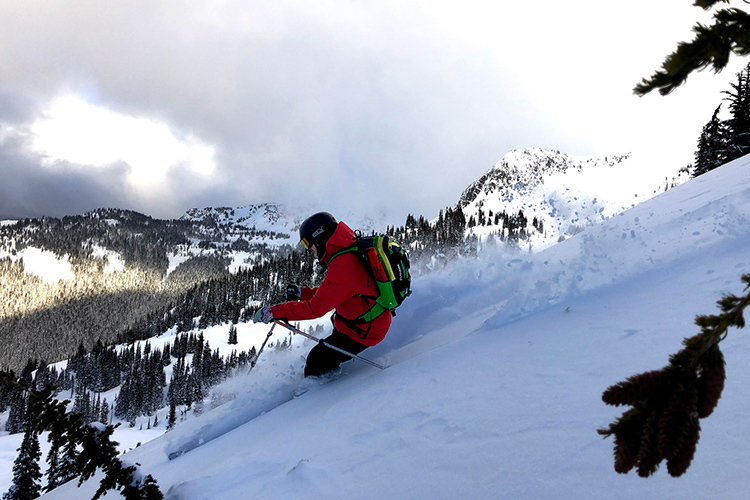 After testing the snow stability, pointing out the best line and safest places to stop and regroup, Selda leads us into some perfect Coast Mountain, boot-deep pow. And once we hit treeline, it gets closer to knee deep. We “got the snow” this trip, with a cold front moving in, sucking moisture from the air to create dry, stable pow. So up we walked, then down we skied, then up again, sliding in calm, happy unison up to a sunny ridge to enjoy lunch. The secret to a good day ski touring in the mountains is picking out proper layers of clothing and a slow, steady pace to avoid sweating. A solid lunch and lots of water help too (‘cause eating snow on those deep faceshot turns doesn’t count as hydration). 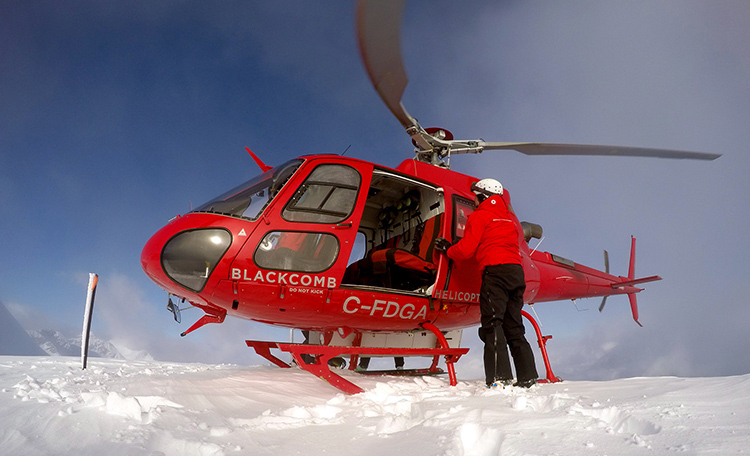 This is the first winter that Extremely Canadian is offering guided heli-touring trips but the entire process feels natural and makes sense. 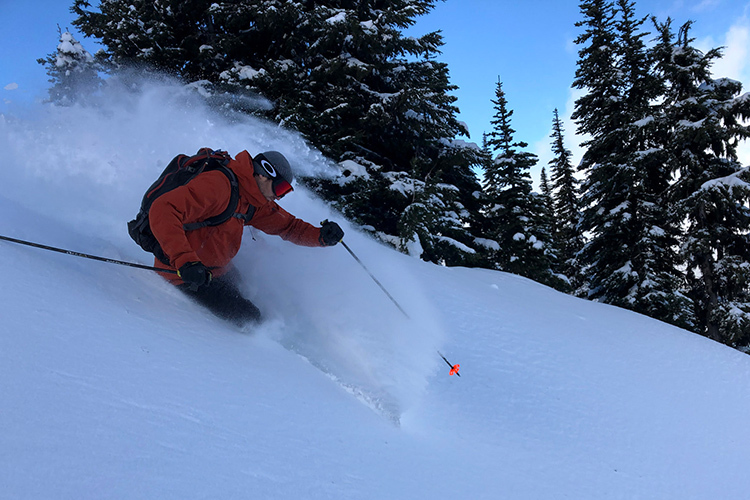 “We’ve been thinking about this kind of skiing since probably 1998,” says Jill Dunnigan, who owns Extremely Canadian with partner / ski legend Pete Smart. 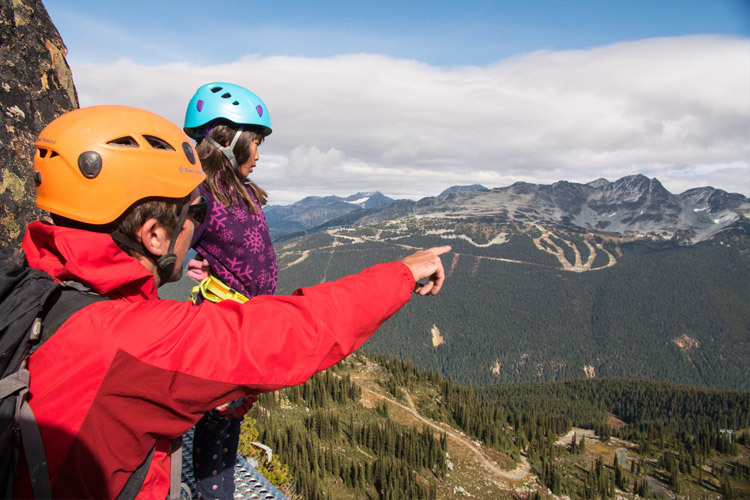 Twenty-five years ago Extremely Canadian started guiding advanced and expert skiers and snowboarders around Whistler Blackcomb, then on expeditions to Europe, South America, and more recently Japan. 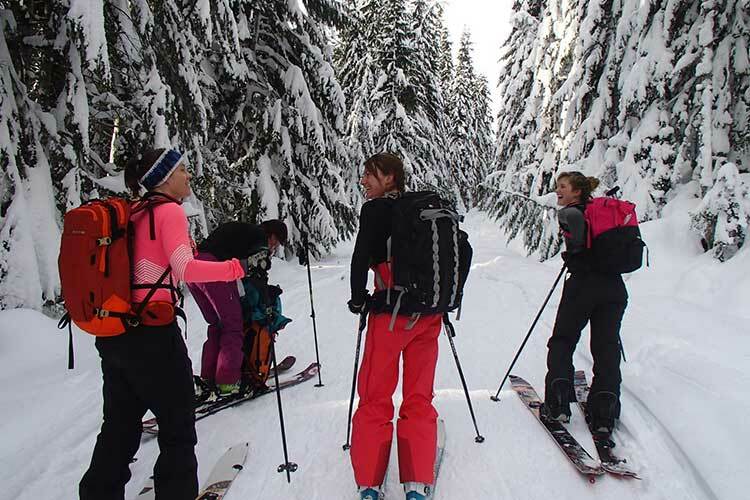 Although they’ve been guiding ski touring locally for over a decade, Dunnigan says the ability to get in a helicopter and tour new zones is already striking a chord with BC residents. Certainly, and it’s nice to have a professional guide breaking trail and setting the safest skin track too. Bonus! 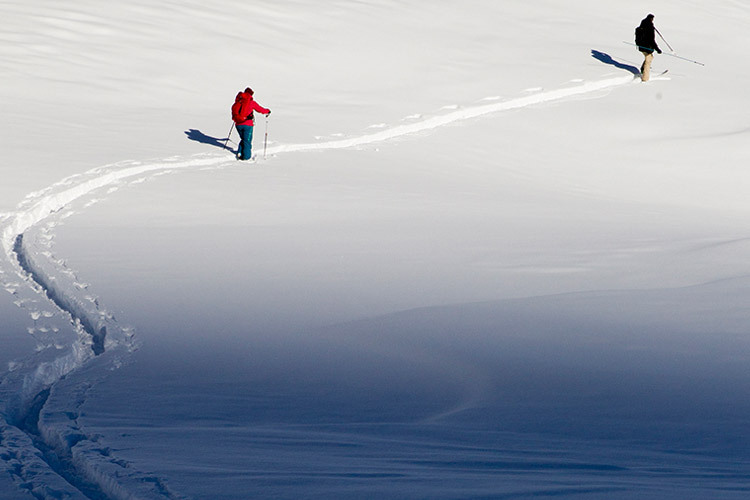 A decent ski and fitness level is required for any activity that involves walking uphill half the time. 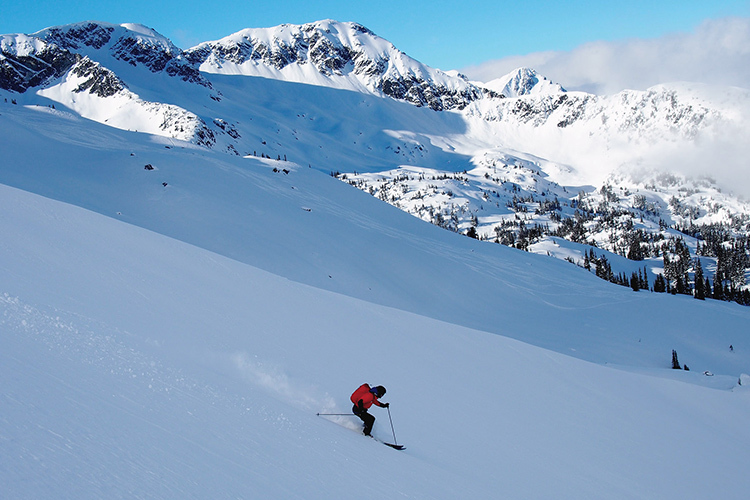 If you’re game, call 1-800-WHISTLER to book this tour. 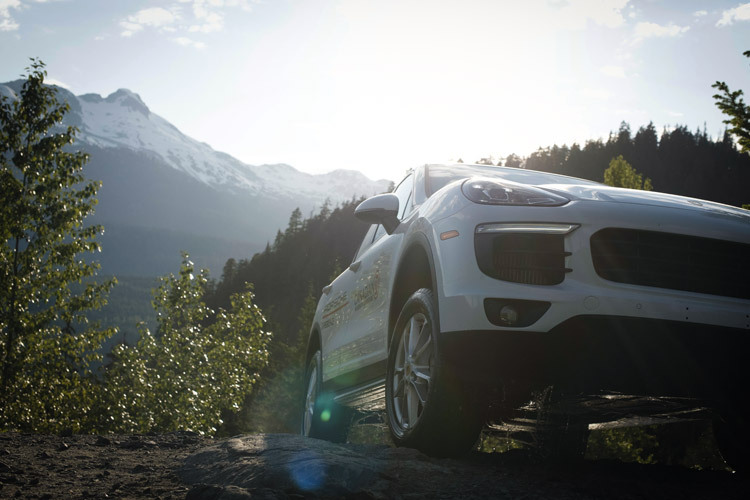 Find more bucket-list worthy adventures at Whistler.com.